Yacht design is a complex combination of art and science. When you engage Fitzgerald Marine Architecture, you get the best of both. Many people designing yachts today are artistically able but sometimes lack in-depth knowledge of all the systems that make up a modern vessel. This can result in headaches at the very least -- and engineering failures at the worst. With the proven yacht designers and engineers of FMA working for you, you can rest assured that your yacht will not only be exceptionally beautiful, it will also be thoroughly functional, safe, and comfortable. 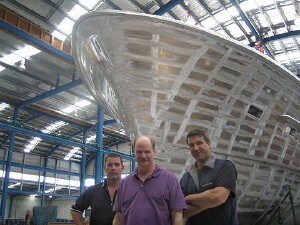 Thanks to more than three decades working with builders as well as clients – and as an insightful liaison between the two – the team at Fitzgerald Marine Architecture are known throughout the industry for their comprehensive understanding of how yachts are constructed and their invaluable rapport with the people who build them. The firm's style is shaped by tradition, inspired by innovation, and always distinguished by the very highest ethics. We value seaworthy over slick, and believe that to be a success a vessel must be strong and reliable in all conditions. This philosophy has made us a leader in the design of offshore passagemakers, both sail and power. Numerous past clients are currently exploring the oceans of the world aboard these long-range, long-term homes. Before establishing his own firm, Mark Fitzgerald learned from the best, spending five years in the office of the late Jack Hargrave and 21 years as Chuck Paine's lead designer. Mark will dedicate himself to every detail of your project, be ever mindful of your desires and requirements, and deliver a design of the highest standard. His creativity is unlimited, and his portfolio includes a wide range of vessels created for a variety of purposes. He is also happy to design individual systems within a yacht or solve engineering problems on existing vessels. The abilities of Fitzgerald Marine Architecture's interior design department are equally solid, with well-rounded experience both in the creation of welcoming belowdecks spaces and in the underlying construction of every element within each space. Fitzgerald Marine also offers the ability to take advantage of the tremendous inventory of existing boats in the market today. 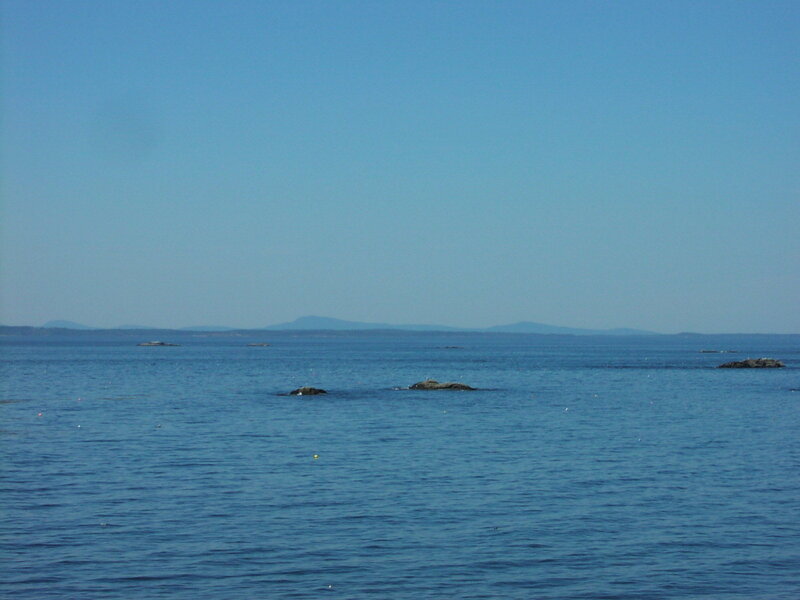 Through our brokerage, we have the ability to find an existing boat which may fit your needs. Should refurbishing and redesign be required, we will determine its worthiness and create a modification/refit plan that will make it a perfect boat for you. Mark Fitzgerald's 32 years of professional experience have covered all aspects of yacht design for both power and sailing vessels. He is known worldwide for his ability to work closely with clients and builders to deliver in meticulous detail all the information required to construct yachts to very high standards without risk. Mark began his career at the office of the late Jack Hargrave in West Palm Beach, Florida. Five years later, he joined Chuck Paine in Camden, Maine. After 21 years of designing both power and sailing yachts in collaboration with Chuck Paine, Mark set a new course with a distinctive style based on the future, yet shaped by the past. Mark’s creativity is unrestricted. His personality is relaxed yet focused. He is committed to the fact that each project is special and every client is unique. Ann handles all of the interior design projects at Fitzgerald Marine Architecture. She joined FMA after operating her own business for nearly two decades, upholstering furniture, designing and building it, and creating soft furnishings and interiors for high-end homes and yachts along the Maine Coast. Ann received a degree in studio art and interior design from the University of Maine. She also attended the Portland School of Art and spent a year studying in Athens, Greece. Her extensive experience with the construction of furnishings, coupled with her distinctive personal esthetic, makes her an especially capable interior designer.